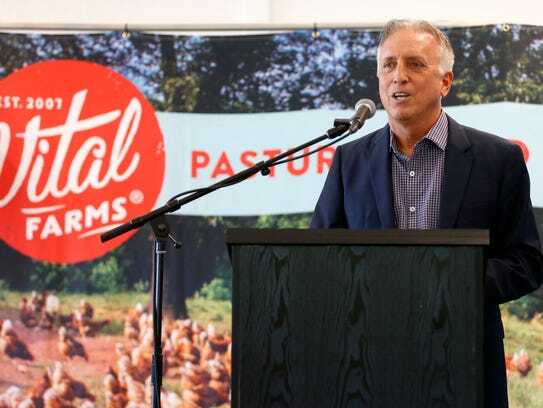 A national supplier of pasture-raised eggs celebrated the opening of its Springfield processing facility this month. Austin-based Vital Farms‘ new facility, named “Egg Central Station,” processes one million eggs a day. It has created more than 50 new jobs with a starting wage of $13 an hour. Mayor Ken McClure told the News-Leader the egg processing facility is a “big addition” to Springfield’s west-side industrial park. “It’s a new way of looking at agricultural interests, looking at environmental stewardship and a focus on how the eggs are raised,” McClure said. 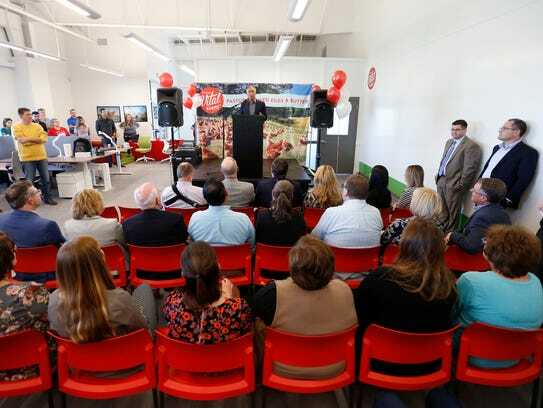 McClure said Springfield should focus on welcoming more innovative companies, such as Vital Farms. “We don’t need to invest exclusively in traditional manufacturing — we will always welcome those of course — (we can) embrace new business models,” he said. Vital Farms processes eggs produced by chickens that are raised on small, independent farms, each of which agree to provide at least 108 square feet of outdoor pasture per chicken. Most of the 120 farms are in the Missouri and northwest Arkansas area, according to Scott Marcus, Vital Farms’ vice president of marketing. That’s one of the reasons the company decided to open Egg Central Station in Springfield, he said. An incentives package, offered by the city of Springfield, City Utilities and other partners, probably didn’t hurt either. More than $1.75 million in incentives was offered to Vital Farms to expand to Springfield. That package included 75 percent real property tax abatement worth $1.46 million. Justin Coyan with the Springfield Area Chamber of Commerce told City Council last year that Vital Farms was searching to expand in Missouri, Arkansas, Oklahoma or Texas. The company’s second choice would have been to open a facility in Joplin, and Springfield won out because it was able to move faster, Coyan said. Egg Central Station occupies an 86,400 square foot building on 11 acres at 2007 N. Alliance Ave. The building and equipment are worth $13.4 million in investments, according to Coyan. A ribbon-cutting ceremony held Wednesday afternoon, was punctuated with egg puns and ensuing groans from the audience. “We are egg-cited for this egg-traordinary story,” opened Chamber President Matt Morrow. O’Hayer described the beginnings of the company in Austin — starting with 20 chickens and scrubbing eggs by hand. He highlighted the company’s focus on food safety, environmental sustainability, their employees and the local community. Vital Farms has donated nearly 8 million eggs to Ozarks Food Harvest. In Springfield, Vital Farms eggs are sold at Ruby’s, MaMa Jean’s and Target. They’re also available at other national retailers such as Whole Foods, Sprouts, Kroger, Safeway and Publix.